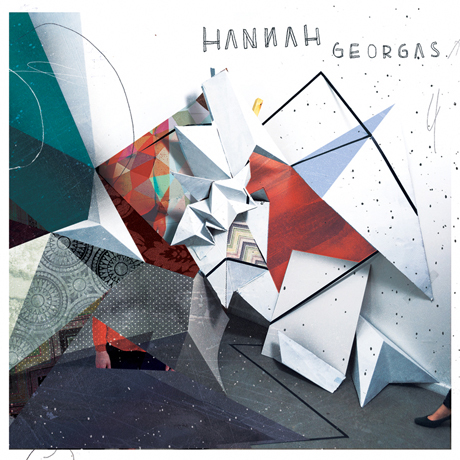 Hannah Georgas has already spoken with Exclaim! about what we can expect from her eponymous sophomore album, which will arrive on October 2 through Dine Alone Records. Now, the Vancouver-based songwriter has announced the full details of the new collection, in addition to sharing another new track. Despite the LP being self-titled, the songwriter's image isn't featured much in the album's cover art. In fact, all you can see of her is some of her torso and a bit of foot. Well, if those even belong to Georgas.The abstract, collage-style image was created by Vancouver artist Scott Sueme and can be seen above. See the ten-song tracklist below. For a new taste of what you can expect from these tunes, below you can stream the new wave-tinged single "Robotic," which makes good on the singer's promise that the new disc will be "more electronic" than her past work. A live version of the song, which was filmed for the CBC, is at the bottom of the page. As for the release plans, pre-orders will begin on September 4. Vinyl copies will come on coloured 180-gram wax, while a deluxe edition will include the vinyl, along with a CD and an art print signed by Georgas. On the other hand, if you pre-order through iTunes, you'll get the bonus track "The Hardest Part." Expect a Canadian tour to be announced soon. In the meantime, read our interview with Hannah here.